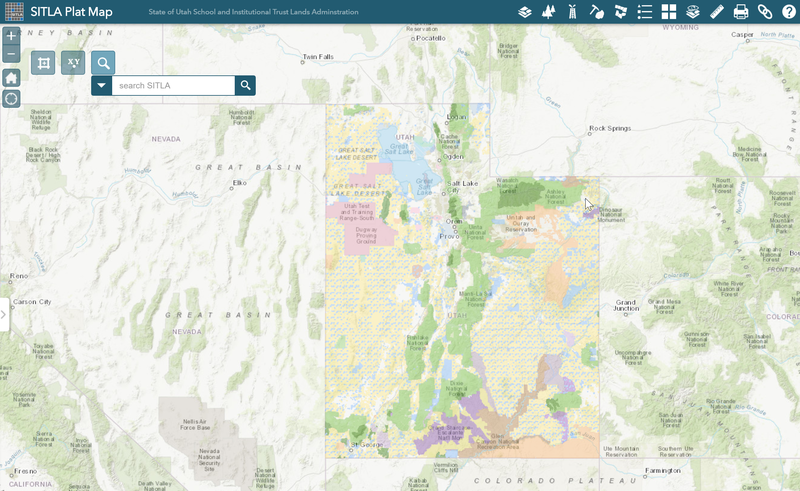 The Digital Plat Map application brings together Trust Lands business and spatial data sources to provide users access to detailed contract and ownership data. It is a publicly accessible web based map that is meant to replace our paper plats for displaying active contracts and ownership records. The data that are served out on these maps are updated on a weekly basis. For more information please see the SITLA Plat Map User Guide.